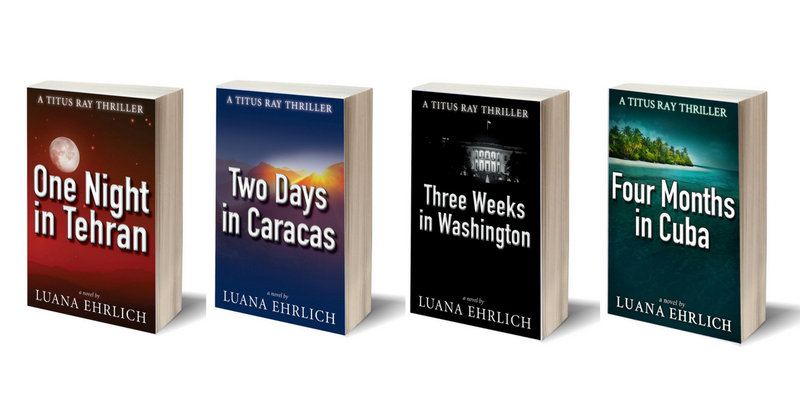 Please welcome author Luana Ehlrich, our first spy/thriller author. I love the part her father plays in her passion for this genre–he allowed her to read the thrillers he brought home in her youth. Wow – what a wonder to share a genre with him! Anyone who signs up for Luana’s newsletter will be able to download a FREE copy of Titus Ray Thriller Recipes with Short Stories. Luana, your protagonist, Titus Ray, intrigues me – please tell us about him. Titus Ray, a CIA intelligence officer with the Agency for almost twenty years, is a loner and battle-hardened veteran of the covert wars. When his mission in Iran is blown, he escapes from the secret police and is forced to seek shelter with some Iranian Christians. Before he’s smuggled out of Iran, he makes a decision to become a believer himself, and once he returns to the States, he’s faced with figuring out how he can live a life of faith in the world of espionage, while battling his own demons and carrying out the responsibilities of his career. Titus Ray tries to maintain his religious compass while entrenched in the world of espionage. What do you think is central to that struggle and his success? Titus grew up in a home with no religious affiliation. His father, an alcoholic, was emotionally absent from family, and the only time Titus ever heard God’s name was in cursing. When Titus is forced to live with a group of Iranian Christians for three months, he’s amazed at their ability to be joyful in the midst of persecution. As he observes their faith, their love of the Bible, and their relationship to Christ, he desires to have such a relationship for himself. After he makes his commitment, that relationship becomes a thread running throughout all the books in the series. A thriller isn’t a typical genre of Christian fiction. How did you come up with the idea for this series? This type of series came to mind when I first heard about the persecution of Christians in Iran about six years ago. Because I’ve always been an avid reader of mysteries and thrillers, I knew my first book would be in this genre. However, when I heard about the Iranian Christians, I began asking several questions, the backstory of my first book, One Night in Tehran. What would happen if a veteran CIA intelligence operative in Tehran became a believer? How would his conversion affect his career? How would a man trained to lie and deceive follow the teachings of Christ in the real world? Could you give us a sentence or two about each book in the series? 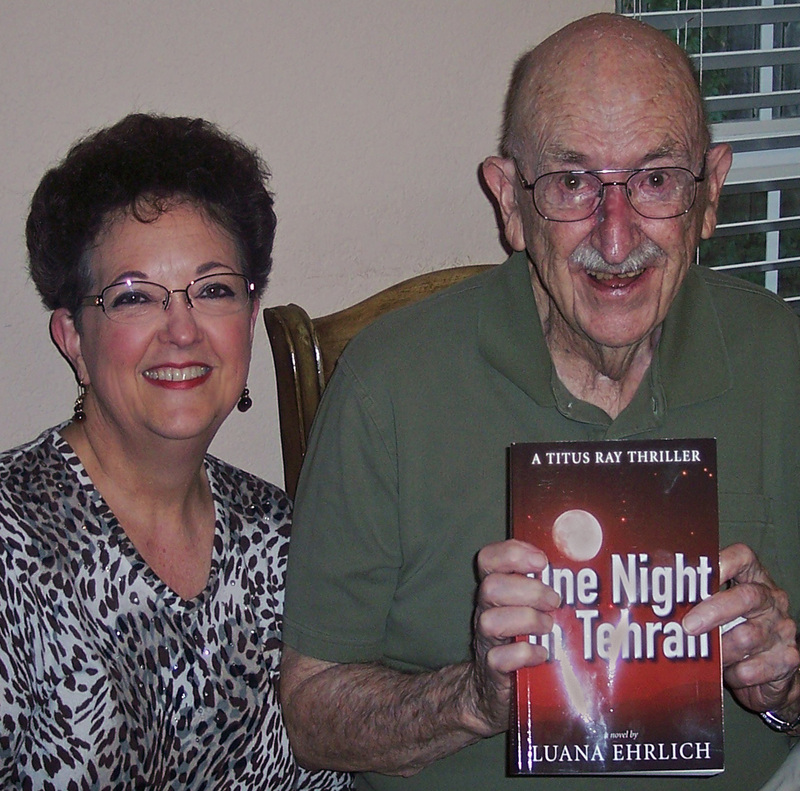 In One Night in Tehran, Book I in the series, Titus goes on the run from an assassin and encounters an Iranian couple in Oklahoma who may have ties to the killer. He also gets involved in a murder investigation with beautiful local detective, Nikki Saxon, who considers him a suspect in the case. In Book II, Two Days in Caracas, Titus travels from Costa Rica to Venezuela in search of Ahmed Al-Amin, a Hezbollah assassin, before he murders a high-profile government official. Along the way, a family crisis jeopardizes his mission, an Agency division head threatens to destroy his career, and he becomes more involved with Nikki Saxon. In Three Weeks in Washington, Titus races across two continents pursuing Jihadi terrorists who plan to attack the nation’s capital with chemical weapons. Titus puts his own life on the line when he exposes an Iranian deep-cover operative with close ties to American government officials and jeopardizes his relationship with Nikki. In Book IV, Four Months in Cuba, Titus arrives in Santiago de Cuba determined to rescue his fellow operative, Ben Mitchell, from the Los Zetas drug cartel. Within days, he discovers it won’t be a simple rescue mission, and in the months that follow, he almost loses his life, as well as his faith. Book V, Five Years in Yemen, will be released in the fall of 2018. The prequel to the series, a novella, is also available. One Step Back gives readers the backstory of One Night in Tehran. All the books in the series are available on Amazon as print books, eBooks, and audiobooks. This entry was posted in Author Visits, Uncategorized by Gail. Bookmark the permalink.